Is This the Single Best Marvel Comic of the 1960s? Marvel Comics Executive Editor Tom Brevoort weighs in with an argument for 'Fantastic Four' #60! Each week, the Best of the Decade column honors 80 years of comic book excellence by spotlighting a single issue from the House of Ideas beloved by the best in the business! Stan Lee and Jack Kirby didn’t just change the comic book industry and ignite the Marvel Universe with the creation of the Fantastic Four in 1961, they started a revolution amongst fans of the medium who were seeking a new approach to the concept of the costumed Super Hero. 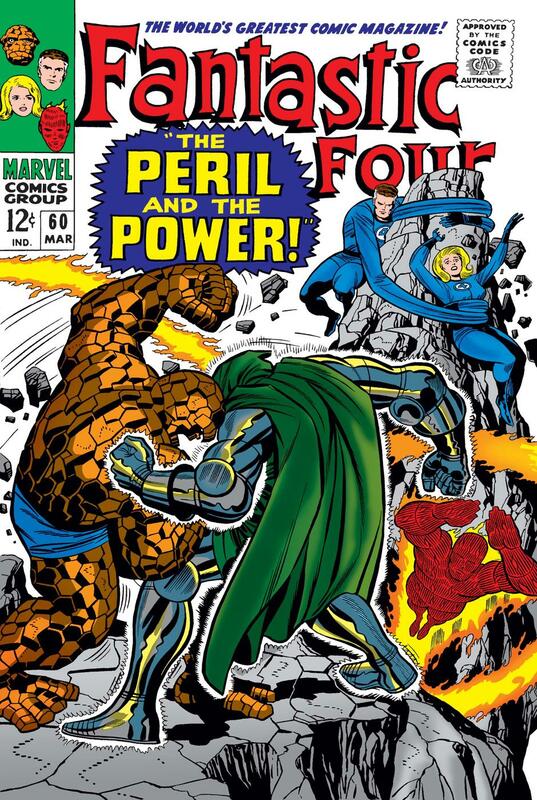 So, which issue does the editor of the current FANTASTIC FOUR series think was the best of the entire 1960s? FANTASTIC FOUR #60! Marvel.com: Growing up in the 1970s, how did you discover the Marvel books of the previous decade? Tom Brevoort: In those days, Marvel had a regular ongoing reprint program, a series [of] titles with names such as MARVEL TALES, MARVEL’S GREATEST COMICS, MARVEL TRIPLE ACTION, etc. which were systematically reprinting all of the earlier issues of the firm’s key books—so they were available right next to the current issues on the spinner rack. And quite often, even though they were edited to fit the smaller page counts of the 1970s, they were better stories than what was coming out new. Marvel.com: What made the Marvel output of the '60s stand apart from anything in comics that had come before it? Brevoort: With so many years having gone by, and so many other creators having built upon the innovations of those early days, it can be difficult for a young reader coming to that material to understand just how radically different and super-charged it was as compared to the other Super Hero comics around it. In the aftermath of the Senate hearings on comics and the Comics Code, most other Super Hero comics had been very badly neutered. You could go for issues without a Super Hero so much as throwing a punch—most of the stories concerned puzzles of one type or another: either a mysterious crime spree that had to be solved, or somebody attempting to ferret out the hero’s true identity and needing to be fooled, or some bizarre situation transpiring that would turn out to be the ridiculously-convoluted cover story for some objective the hero was trying to achieve. It was all very clinical, very intellect-based. Nobody really got excited in those Super Hero comics—they only rarely evidenced any genuine emotion whatsoever. By contrast, the Marvel books of that period were visceral. They were not only very much about characters throwing punches but also about them reveling in their ability to do so. The Marvel plots didn’t tend to be as well constructed or as clever, but they were drenched with emotion, with human drama, with relatable characters and situations. They were all emotion-based, all about the audience feeling something when they read through the pages. Even the sort of crazy over-the-top cover blurbs that Stan Lee would [write] were designed to evoke a response, to get potential readers excited. And that’s the difference in a nutshell. Marvel.com: Talk to me about FANTASTIC FOUR #60, the storyline it’s a part of as well as what made the individual issue a winner. Brevoort: FANTASTIC FOUR #60 is the climax to the four-issue sequence in which Doctor Doom steals the Silver Surfer’s Power Cosmic and goes on an unstoppable rampage across the world. It’s as epic a storyline as one can find in the 1960s, and it also provides the answer to how you can top THE COMING OF GALACTUS. Galactus, for all of the peril he brought, was a detached entity; he didn’t care one way or the other about the ant-like human beings crawling around on top of this planet, he was simply looking for his next meal to sustain himself. But Doom with the Power Cosmic was malevolent, he had objectives and goals, he wanted to crush his enemies and humiliate them—and so this story is more charged with a growing sense of despair than even the Galactus trilogy. Doom is so unstoppable, the Fantastic Four spend the entirety of issue #59 on their asses, having had their heads handed to them and unable to come up with any viable strategy with which to best Doom. And then, #60 is where they’re able to get back up off the mat and take the fight back to Doom. 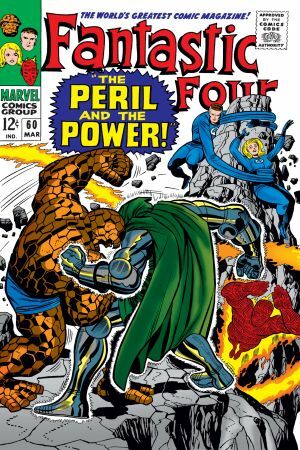 So it’s chock-a-block full of terrific Jack Kirby battle sequences, including a scene in which the Thing proves his mettle by getting back up after Doom crushes him to the ground in true Rocky style. The art at this point is about as good as it ever got during Kirby’s run. In the end, the FF defeat Doom by using cleverness rather than any trick of powers or technology. Reed has reasoned that Galactus left the Silver Surfer trapped on Earth and must have created a method by which to keep him contained there. So, luring Doom into heading for outer space, Doom whanged up against that barrier, and he was finished. Marvel.com: Why was that initial Lee/Kirby run of FF so special? 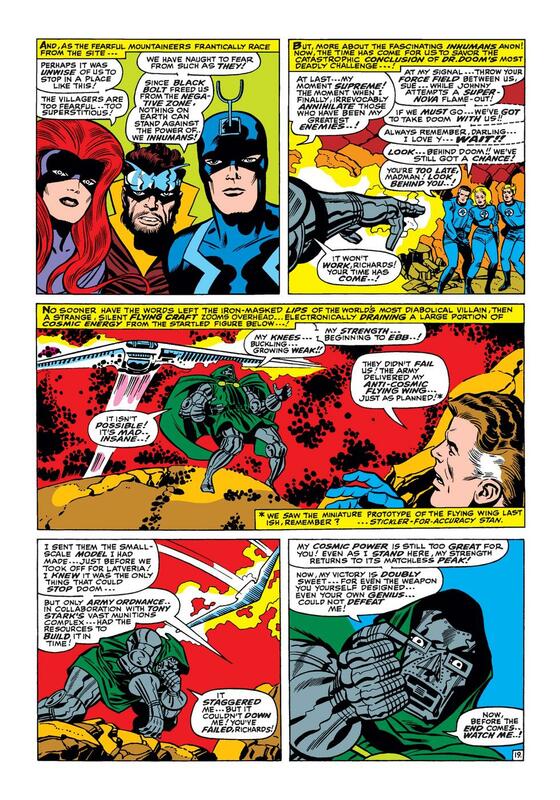 Brevoort: As Kirby got to slow down and devote more time and attention both to each page of artwork and to the stories behind them, the series became much more expansive and mind-blowing than anything else on the racks—but without losing the human dimension and relatability of the characters. I think you could argue that the Lee/[Steve] Ditko run of AMAZING SPIDER-MAN was better throughout on a technical level; certainly it was more consistent. But it wasn’t quite as expansively innovative as the Lee/Kirby FANTASTIC FOUR, nor did it run for as long a period. Read the latest issue of FANTASTIC FOUR at your local comic shop now! And visit Marvel.com's 80th anniversary hub page for more!